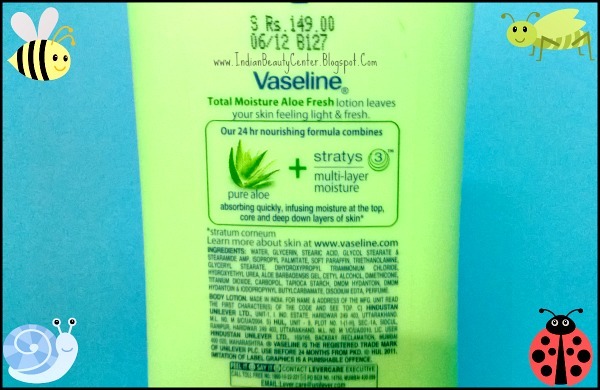 Tags- Vaseline Aloe Fresh price in India, Vaseline Aloe Fresh body lotion, Vaseline Aloe Fresh sun burn, Vaseline Aloe Fresh body lotion review, Vaseline Aloe Fresh India, Vaseline Aloe Fresh Hydrating Body Lotion, Aloe Vera Body Lotion, India, Google, Bing, Yahoo, United States Of America, Blogger, Wordpress, Indian Skin care blog, Indian makeup blog, Indian beauty blog. 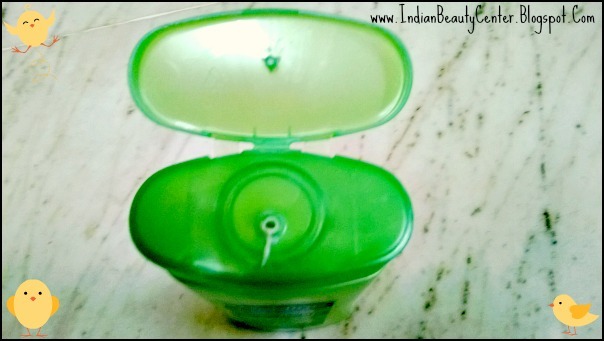 Packaging and Fragrance: The Vaseline Aloe Fresh Body Lotion comes in a bright green bottle, which is quite sturdy and has a flip-open cap. The lotion is white and colour and its fragrance is just amazing! Many a times, Aloe Vera products end up smelling too artificial, but this is not the case with Vaseline Aloe Fresh lotion. Consistency: The Aloe Fresh lotion is quite thick in consistency and spreads easily on the skin. A coin size amount is enough to moisturize your entire arm. However, the lotion is quite heavy and it takes time to absorb into the skin. Though the flip-top pack is easy to use, it tends to get clogged up with lotion quite frequently. If you forget to clean the mouth of the bottle daily, your lotion will start accumulating around it. Vaseline Aloe Fresh claims to provide 24 hour protection, but actually it lasts for about 8 hours. If you are in air conditioned environment, then it will last for about 6 hours. When I applied it for the first time and walked out of my house, the lotion started coming off with my sweat, making my arms really sticky. So, I recommend that you apply it at least 15 minutes in advance before leaving the house. I have very dry skin and I find the lotion to be moisturizing. It keeps my arms and legs soft and supple. If you have a tendency to sweat a lot, then you should you should avoid it in summer, because the lotion is quite heavy on the skin. But it works like a dream during the monsoon season! 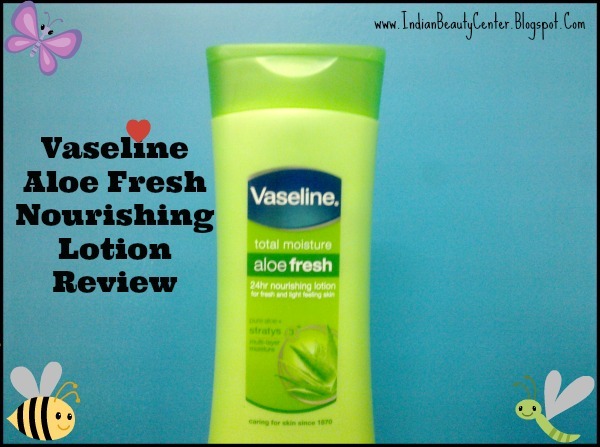 Have you Tried The Vaseline Aloe Fresh Hydrating Body Lotion? Nice review!! I have tried this too. I liked it a lot. Nice review Arpita! I'll definitely have to look out for this. I'm in need of a product like this. :) Great review! Is this product is useful for men? I used Aloe vera juice for my face it gave me results. This is not for the face Sai. This is a body lotion.